Open Wednesday-Sunday 12:00 pm to close; Mon.-Tue. 4:30 pm to close. A casual Mexican Eatery in Warrensburg, N.Y.
Great, affordable Mexican food is now available in Warrensburg NY!! Serving dinner seven nights per week! Combining all the best of Mexican regional cuisine. 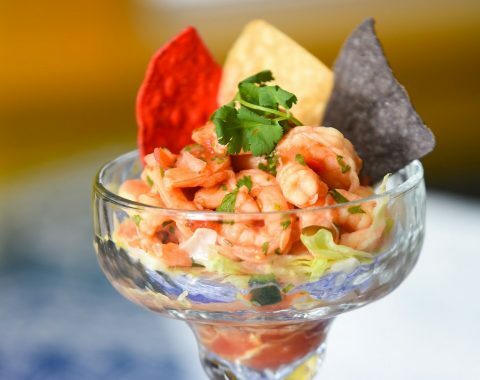 At Ocho Cinco Cantina, we’re not limited to being just a Tex-Mex or SoCal-style Mexican restaurant; we bring you all of our favorite dishes from Mexico’s many regional cuisines. There’s something for everyone on our menu! Here in our restaurant, you will find authentic, homemade Mexican cuisine expertly prepared and served in our newly renovated space within the historic Ashes Hotel in Warrensburg, N.Y. We only use fresh ingredients (no cans! ), our food is affordably priced and takeout is available. Come and taste the new sensation that’s sweeping the North Country! 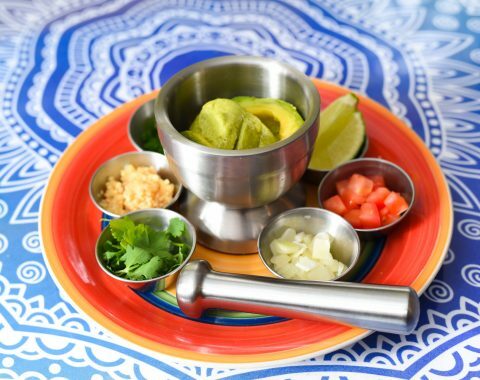 A molcajete with avocado, then you add sides according to your taste (lime, garlic, salt, tomato, onion, jalapeno, cilantro). Lightly poached shrimp and scallops with lime, bell pepper, onion and cilantro, served with chips. 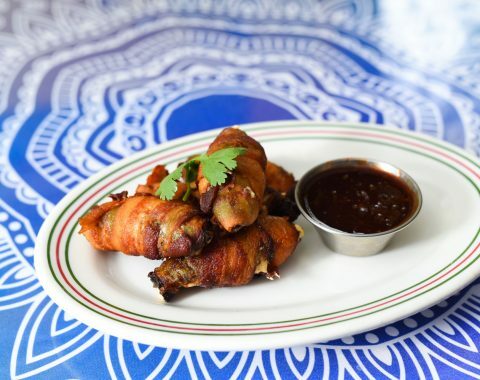 House-stuffed jalapenos with Chipotle cream cheese and Cheddar Jack cheese, wrapped in bacon (!!!) and fried. 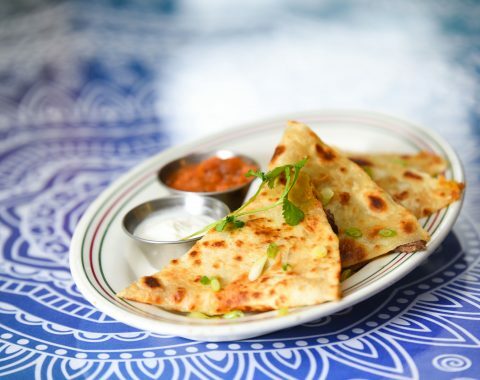 Served with a honey-chili dipping sauce. Cojita, Cheddar and Monterey Jack cheeses with green onion. Served with a side of sour cream and Ranchero salsa. 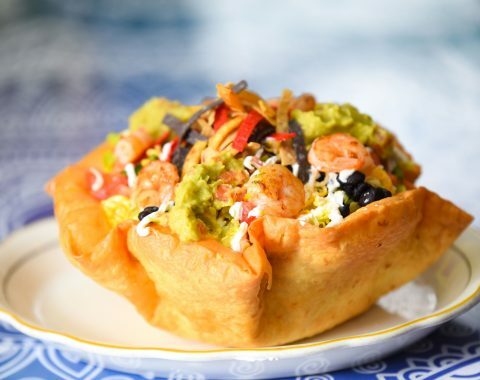 Romaine tossed in a margarita vinaigrette and served in a crispy flour tortilla shell, with Pico de Gallo, cheese, black beans, tortilla strips, sour cream and guacamole. 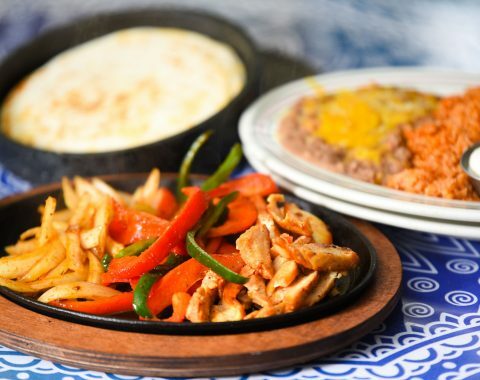 Sauteed onions and peppers and your choice of protein served in a cast iron skillet, with your choice of corn or flour tortillas. Served with rice and beans, sour cream, Americano salsa and guacamole. A giant flour tortilla stuffed to the max with beans, Pico de Gallo, rice and guacamole, served with sour cream. An Ocho Burrito, but deep fried!! 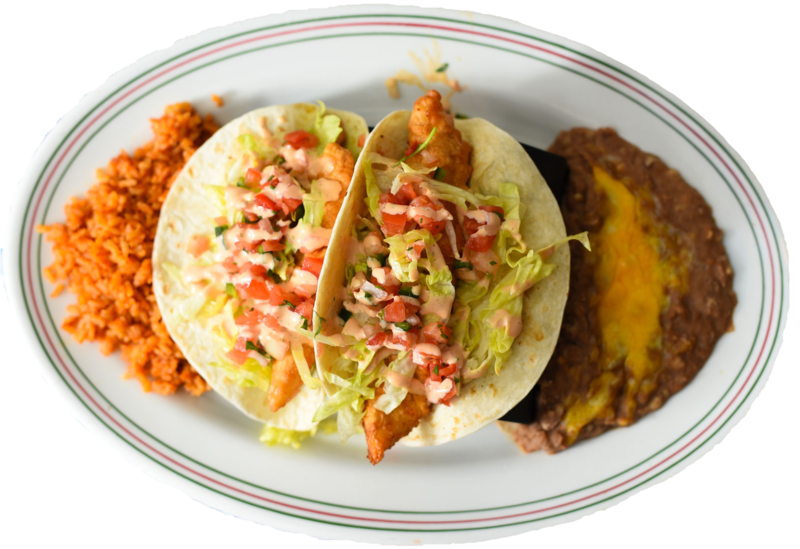 Crispy beer-battered haddock in two soft taco shells, with lettuce, pico de gallo and Ancho Rancho sauce, served with rice and beans. Amazing food and service. They start you off with chips and salsa, which were very fresh and delicious. Then we ordered the make your own guacamole, also very good and fun! We also ordered the steak tacos (probably the best taco I’ve had in ages) and the chicken chimichanga, also very good. The margarita was perrrfect. Overall we were extremely pleased with our food and service. They are still in the early stages, so more amazing food to come. Would highly recommend! 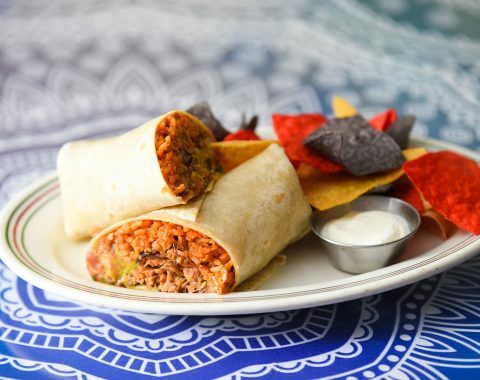 The closest Mexican restaurant is 30 miles away, but not any more with the opening of this straight-forward, fresh and flavorful gem in the North Country. If you’re on your way to Gore, stop by and fuel up with the house-made chips and fresh salsa with a bright and clean flavor, while you wait for delicious margaritas and red sangria that would make you swear you were south of the border. We had the house-made poppers, which were crunchy, cheesy and divine, with the chicken tortilla soup, which is thick and spicy, with a bit of crunch with the addition of crispy tortillas. Lunch was soft tacos with pork (carnitas) that tasted like a slow-braised shoulder, then pulled apart and with sauce added to deepen the flavors. YUM! I had the chimichanga, which was chimiGAZONGA: a burrito supremo that is deep-fried. YES PLEASE!! We’re going back just for the drinks; the food is icing on the cake. Like deep, rich GANACHE icing!! OLE’ !!! The appetizers offered at Ocho Cinco Cantina in Warrensburg, NY. Soup & salad options at Ocho Cinco Cantina in Warrensburg, NY. Main courses offered at Ocho Cinco Cantina in Warrensburg, N.Y.
A selection of fine desserts to complete your meal at Ocho Cinco Cantina. A selection of beverages available at Ocho Cinco Cantina in Warrensburg, N.Y. The kids menu at Ocho Cinco Cantina in Warrensburg, NY. 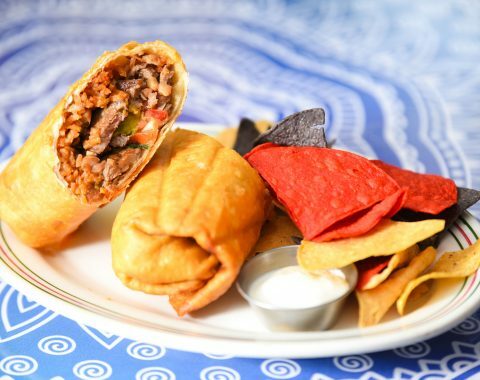 Have you been longing for great Mexican food in the Warrensburg area? We have, too! 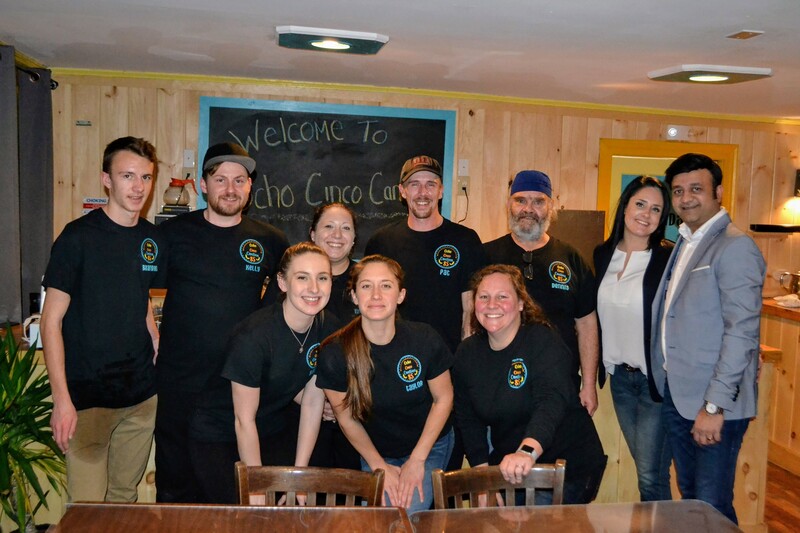 That’s why we’re so excited to welcome you to Ocho Cinco Cantina, a brand-new Mexican restaurant serving the Warrensburg and Lake George area! Come and sample our eclectic menu of Mexican favorites, as well as some special creations, in our newly renovated location at Ashes Hotel! Warrensburg now feels a little further south! Our brand-new Mexican restaurant just underwent an extensive renovation, to create the bright, vibrant space you see today. We are located inside the historic Ashes Hotel building in Warrensburg, N.Y., which has been upgraded and preserved to welcome many more generations of patrons. 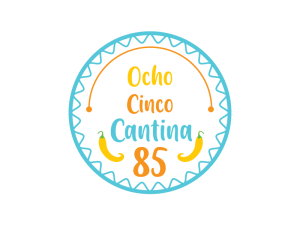 Ocho Cinco Cantina adjoins Ashes Pub, which is also located in the 85 Hudson Street building. That means we can offer beer, wine, cocktails and of course, margaritas! 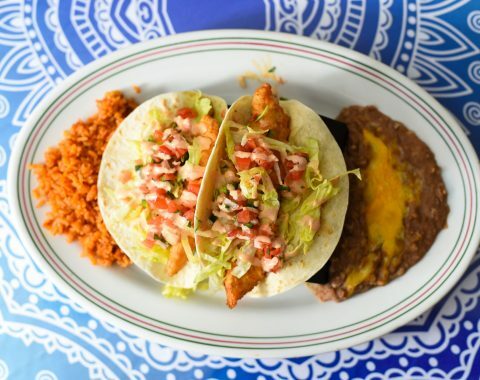 Mexican food lovers rejoice: Great authentic Mexican cuisine can now be enjoyed in Warrensburg! We've worked hard to transform part of the Ashes Hotel building at 85 Hudson Street into an incredible new dining space and Mexican restaurant concept we know you will love. We are now open for dinner seven nights per week, and also serving lunch from Wednesday through Sunday!! Mon.-Tue. 4:30 pm to close; Wed.-Sun. 12:00 pm to close.